I am a writer. And – as far as I know – no one is offering a bounty for one of my ears. Not so for Akram Aylisli, a highly regarded writer, poet, and scriptwriter from Azerbaijan who once received that country’s most prestigious literary prize. However, in 2013, the leader of the Modern Musavat party announced that he would pay a bounty equivalent to $12,700 USD to anyone who cuts off Aylisli’s ear. The impetus for this threat was Aylisli’s novel, Stone Dreams, which provides a sympathetic view of Armenians in Azerbaijan’s ongoing ethnic disputes. Aylisli is accused of describing only Azeri abuses against Armenians, and not addressing attacks by Armenians on Azeris. Azerbaijan’s president also stripped Aylisli of the title of “People’s Writer.” And although the Minister of the Interior has announced that calls for violence are unacceptable, the threat to Aylisli remains. Although he was already 75, Aylisli began contemplating seeking asylum abroad with his family. A writer, he says, has the right to express his thoughts without being considered a traitor. However, government officials in Azerbaijan have labeled Aylisli’s book as treasonous. A year ago in 2016, Aylisli said that he had been stopped from travelling to a literary festival in Italy by border police when he arrived at Baku airport. His bags, which had already been checked in, were taken off the plane and searched. He was taken into the custody of the airport police and falsely, he says, accused of creating a public disturbance. He was interrogated and held by the police for more than 10 hours. Aylisli, self-described as a 78-year-old writer in poor health and suffering from a heart condition, allegedly punched a border guard, a claim that was later used by the border service as an explanation for denying the border crossing. The editor of Index on Censorship Rachael Jolley told The Guardian that the Index on Censorship translated and published extracts from the speech because they felt it was important for the public to read what he was planning to say about the role of the writer and the right to criticism. The situation, as I see it, is suppression of a perspective that does not support the nationalist stance on the Azerbaijani/Armenian conflict. And that is called censorship, even though, in Azerbaijan as in other countries – including the United States where I live – authors have a constitutional right to write what they want without pressure or government interference. Book bans and book burnings notwithstanding, American constitutional rights fare better than those in Azerbaijan. Yet, even in a country where freedom of the press is guaranteed by the First Amendment to the U.S. Constitution, writers are under siege. Just yesterday, April 30, 2017, Reince Priebus, Chief of Staff for the current administration under Donald Trump, said and repeated on the record that abridging or abolishing the First Amendment is something the Trump White House is currently considering. It’s taken much of the USA’s 200+-year history to give voice to differing perspectives about events surrounding Native Americans, slavery, immigration, child labor, internment camps, McCarthyism, Kent State, Iran Contras, waterboarding, WikiLeaks, extraordinary rendition, and others, and one man is threatening to sue news outlets – not just in the United States – and jail individual writers and journalists on vague charges of treason. All because the sitting president doesn’t like his press coverage. I personally have written, with critical opinions, about many of these subjects. And, to date in my country, no matter what I write, how I write it, or who I please or offend with my writing, I’m reasonably assured of keeping both my ears. And if that should ever change, we all have a much larger problem. I do, however, have some words of advice for the White House, and for regimes around the world, that want to try. As Edward Bulwer-Lytton famously wrote in 1839 – and as systematic oppression against writers has proved since antiquity – the pen is mightier than the sword. Let’s all pick up our pens and wield them as swords against any who would suppress and oppress free speech. Let’s accept our roles as writers and humanitarians who are able to feel the pain of others. And let’s teach our coming generations that peaceful activism begins on the page. To this end, we at Writing for Peace are pleased to announce the winners of our 2017 Young Writers Contest. These young people from around the globe submitted their unique perspectives in poetry, essays, and fiction, and we are enriched through their wisdom. You will find last year’s winning entries in the latest edition of DoveTales, our international journal of the arts, which is now available for purchase. Andrea W. Doray is an award-winning journalist, author, poet, and essayist in Denver, CO, and is occasionally a columnist for The Denver Post through their Colorado Voices panel. 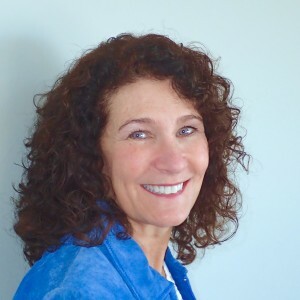 Her weekly opinion column, Alchemy, which appears in Colorado Community Media newspapers, has received a first-place award from the Colorado Press Association.Learn more about Andrea and her work here. Congratulations to the winners and finalists. First, second, and third place winners’ work will appear in our 2018 edition of DoveTales, edited by Andrea W. Doray. Many thanks to our judges for the time and thought they put into these decisions. Writing for Peace would like to thank all of the writers who submitted poetry, fiction and essays for our 2017 Young Writers Contest. We understand it is no small thing to commit to a themed work and then send it out. All participants will shortly receive printed certificates. We hope you will continue to write, research, explore, and ask the questions that need to be asked. The 2018 contest will open on September 1st, 2017 and run until March 1st, 2018. 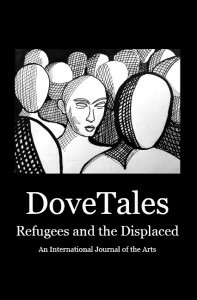 The fifth edition of our annual literary journal, DoveTales, An International Journal of the Arts, will be shipped on May 1st. Our “Refugees and the Displaced” themed DoveTales is a timely affront to a status quo comfortable with the suffering of others. With contributors from every continent on the planet except Antarctica (we’re working on that), this is a book that is meant to challenge assumptions and explore issues of peace, social justice, and our responsibility to our fellow man. Cover art is by Canadian artist, Allen Forrest. You can purchase your copy here. This entry was posted in Activism, Andrea W. Doray, Contests, DoveTales, Writing, Young Writers Contest Guidelines, Young Writers Contest Results and tagged First Amendment. Bookmark the permalink.